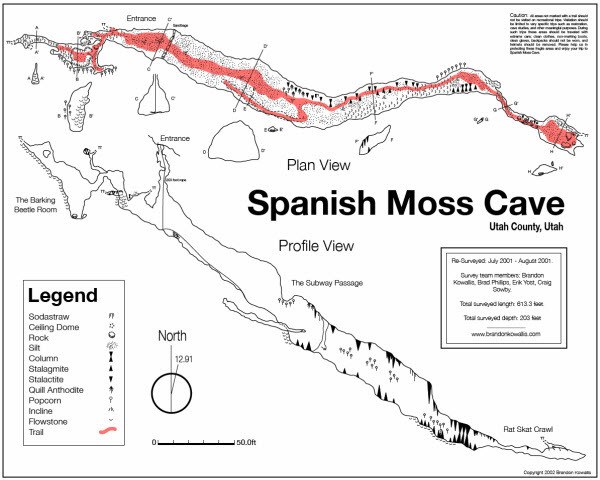 Spanish Moss Cave – Utah County, The cave is gated. 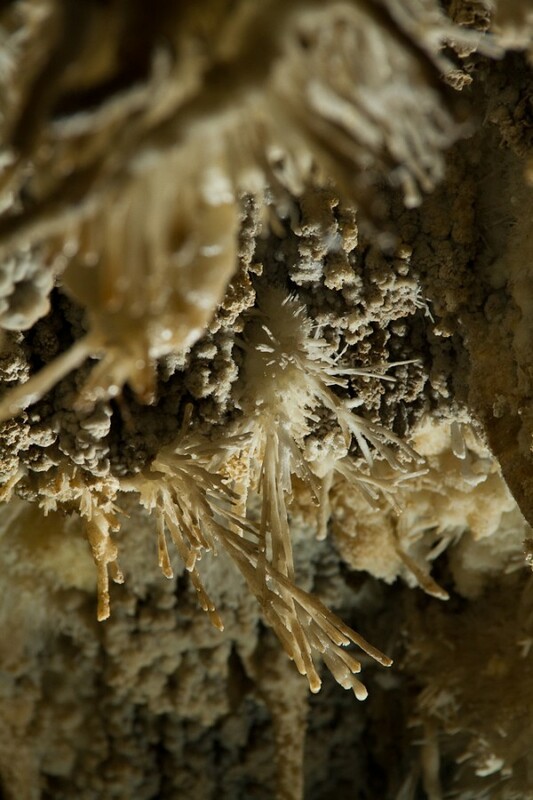 Spanish Moss cave is very well decorated and is a great starting vertical cave. The “Spanish moss” that it is named after, is located at the bottom of the subway passage where you sign your name in the registry. Spanish Moss is accessible pretty much year-round, and stays about the same temperature. It can get very slick in the main subway passage and requires a rope to get back up. 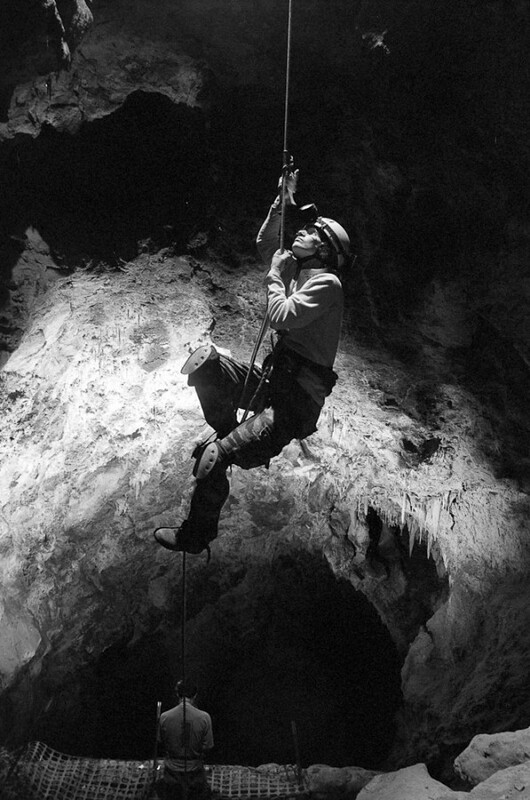 A 200ft rope can get you past the slick part. Amazing formations and easy to get to compared to other caves in the area.